Inverter, also known as power regulator, power regulator, which is an essential part for photovoltaic system. 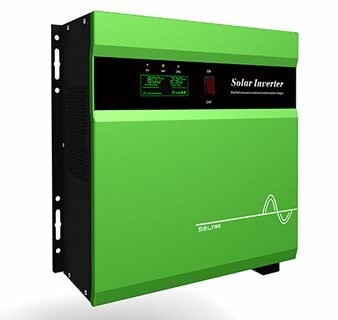 The most important function of solar inverter: make DC current generated by solar panels into electrical appliances alternating current (AC), while electricity issued by solar panels should all through the inverter treatment then can output externa. 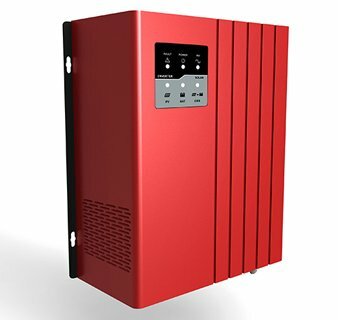 Through full-bridge circuit, normally use of SPWM processor after modulation, filtering, voltage-increase, etc., to get same as lighting load frequency, rated voltage to match the sine AC power supply system end-user application. 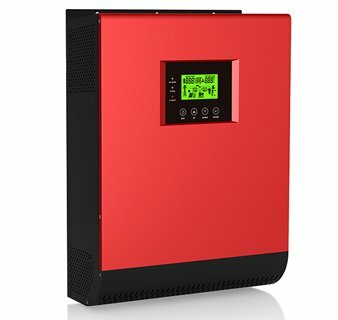 With the adoption of inverter, can use the DC battery for electrical appliances to provide AC. The process of converting AC power into DC power is called rectification, then the circuit that completes the rectification function is called as rectifier circuit. The device that realizes the rectification process is called rectifier device or rectifier. Correspondingly, the process of converting DC power into AC power is called an inverter. The circuit that performs the inverter function is called an inverter circuit, and the device that realizes the inverter process is called an inverter device or an inverter. The core of inverter is inverter switch circuit, referred to as the inverter circuit. This circuit through power electronic switch on and off, to complete the inverter function. Power electronic switching devices on and off need for a certain drive pulse, these pulses adjustment can be changed by voltage signal. The circuit that generates and regulates pulses is commonly referred to as a control circuit or a control loop. In addition to the above-mentioned inverter circuit and control circuit, there are protection circuit, output circuit, input circuit, output circuit, etc.